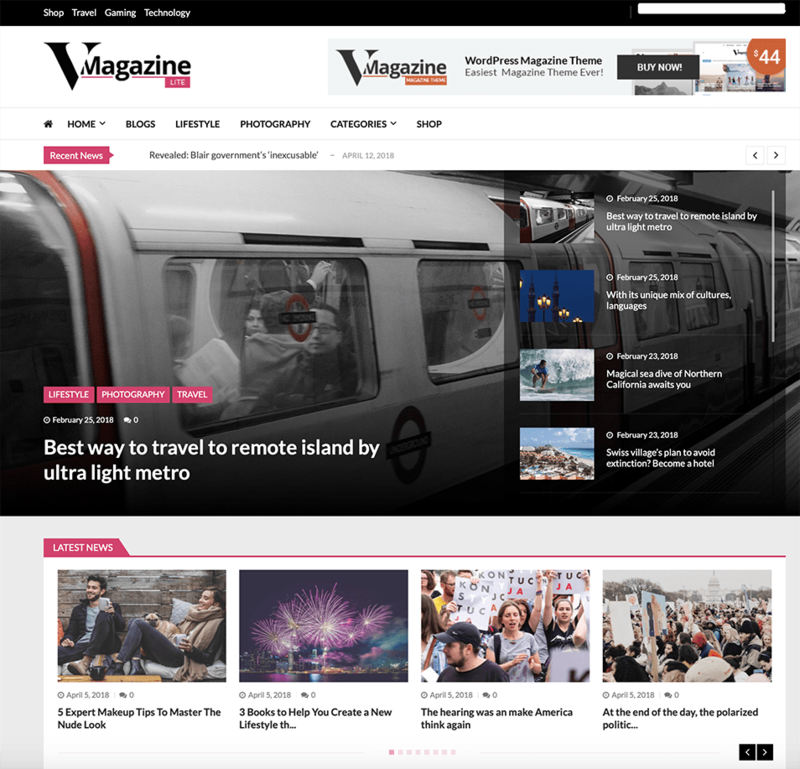 Free Magazine & Newspaper WordPress Themes 2019. 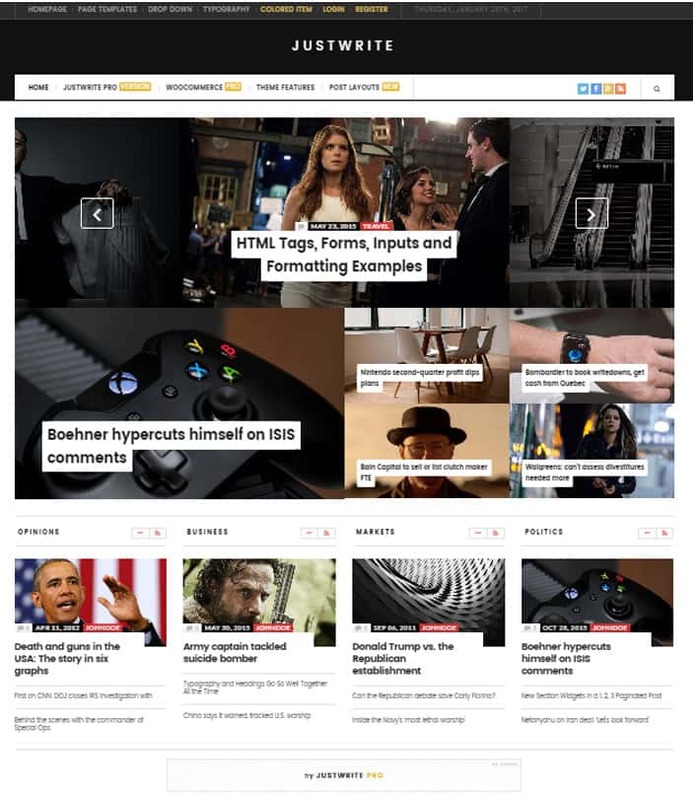 We pick the most innovated and creative Top Free Magazine & News themes around. 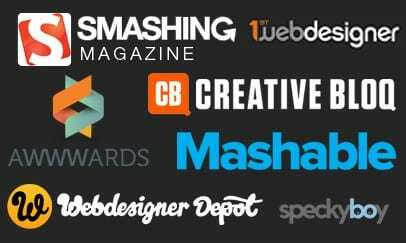 Each Magazine WordPress theme is fully responsive with modern look and amazing customization options to help you setup your new or magazine site. As newspaper and magazine themes get popular and high in demand because of simplicity and cost effective you can have amazing magazine WordPress theme without breaking the budget. Many magazine and news themes have creative layout structures to help you visualize your content and help your reader get the most benefits from your website. 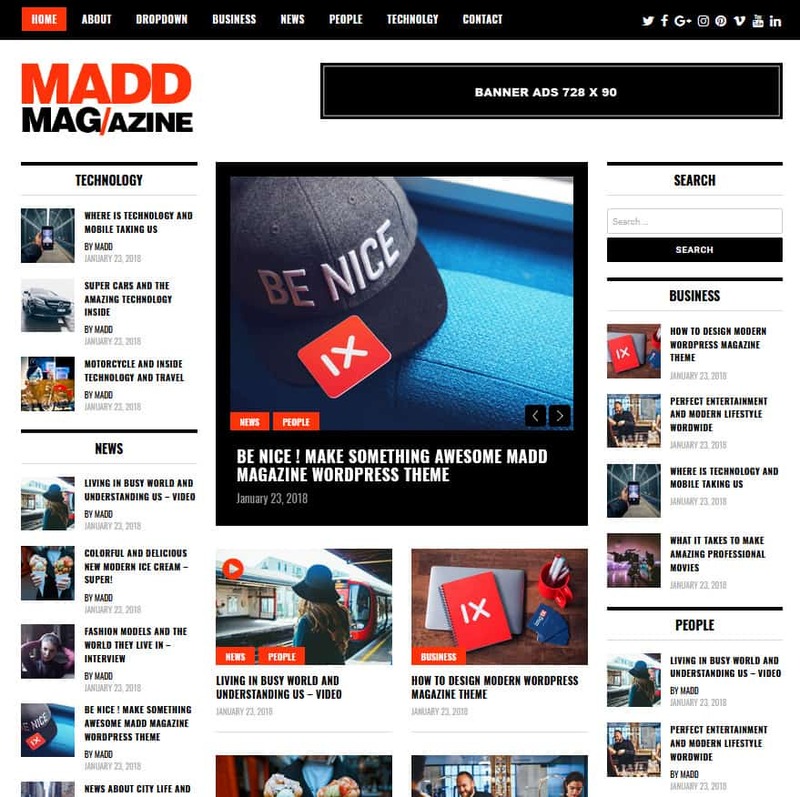 Madd Magazine beautiful and creative free magazine WordPress theme for bloggers, writers and journalists. Madd magazine is fully responsive magazine based theme with build in responsive slider, left and right custom widgets options. It has many options to add advertisement, newsletter signups and custom about widget text. 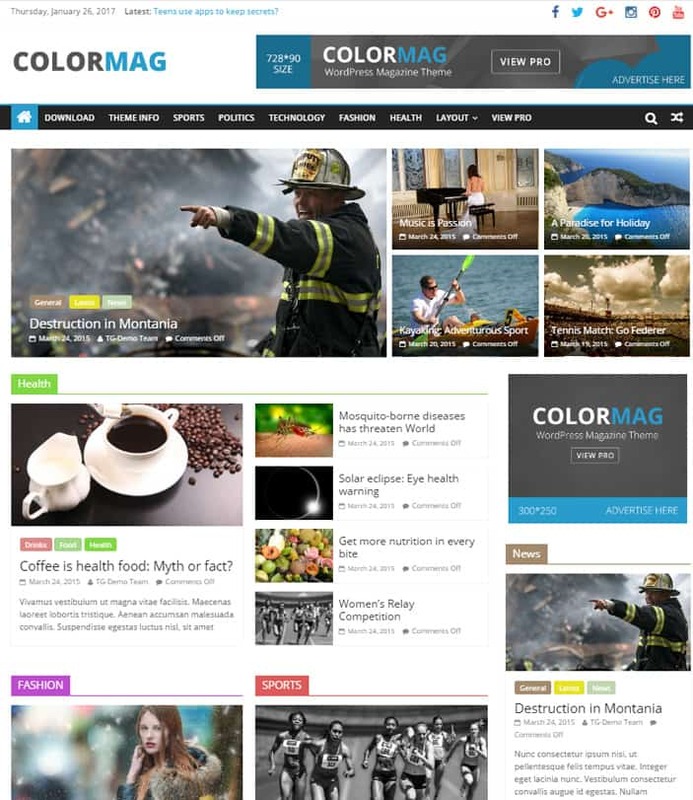 Easy to setup with many customization features, colors, fonts, banners, etc..
Colormag is one of the most popular magazine WordPress themes that is suitable for magazine, newspaper, news, and blogging sites. 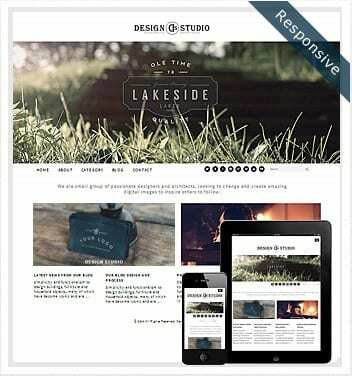 This theme comes with a beautiful magazine-style design that will help to attract more visitors to your site. This theme also follows the best SEO practices that will help you to rank at the top of the search engines. Builder and has more than 8 powerful widgets for you. Islemag beautiful and fully responsive magazine WordPress theme, with box sliding slider, advertisement banners and sidebar widest. 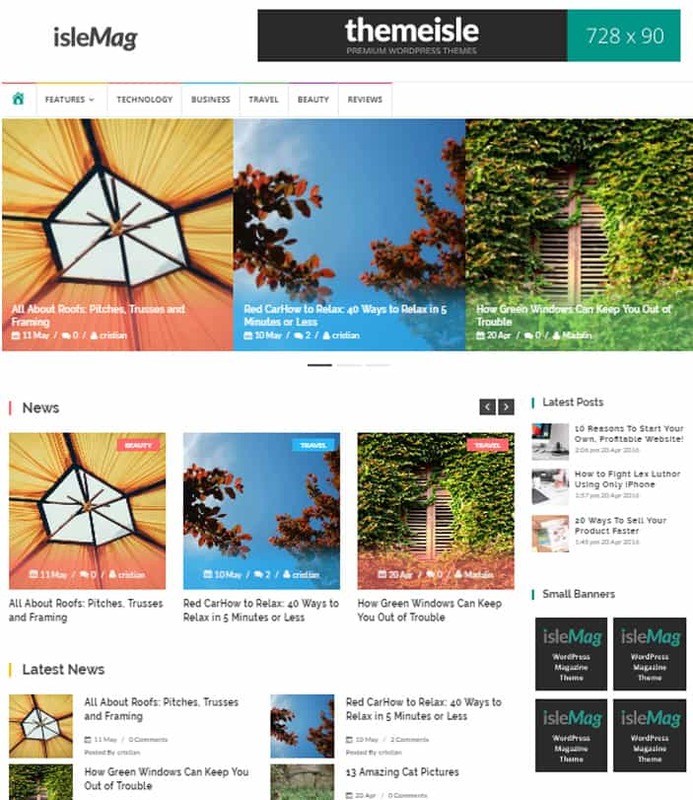 IsleMag is stylish and clean free magazine theme with square box posts, if you looking for this beautiful and modern look this is perfect theme for you. 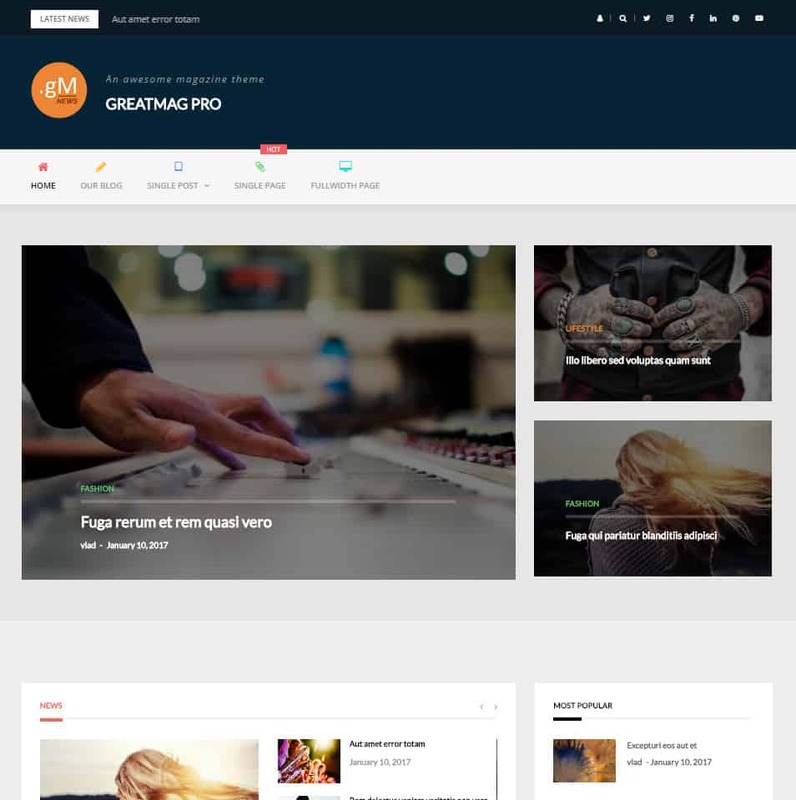 ProBlogg modern and clean amazing magazine WordPress theme, with large logo option and beautiful modern build in slider. This theme has load more build in option to load more posts once you get to to bottom of the page, it also has a sidebar widget and footer widget for all your widgets need. 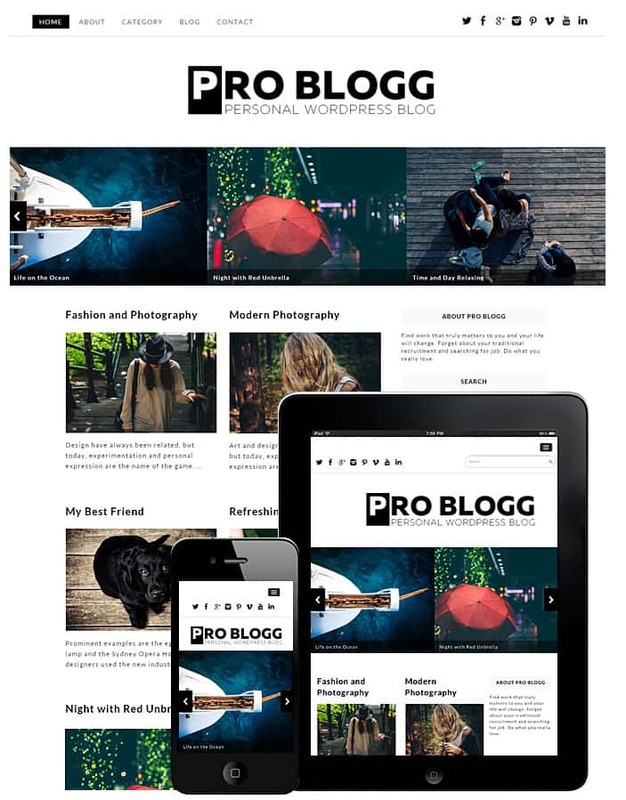 ProBlogg is a 2 column magazine layout with sidebar widget for modern look. 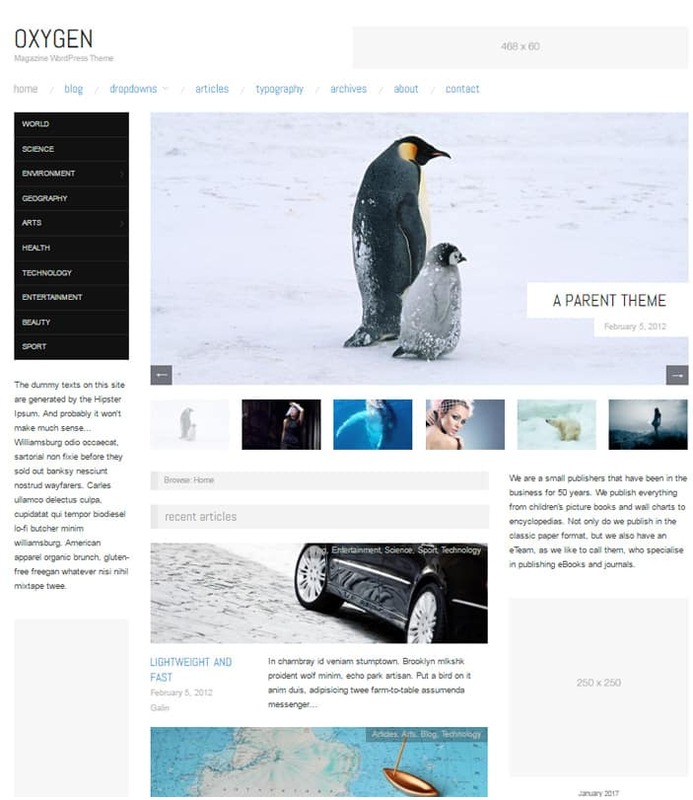 One Blog is super clean and modern magazine theme fully responsive with modern build in slider. This is a one column theme with a right side widget option for your custom or plugin widgets needs. Perfect for simple yet modern magazine theme, with black top navigation and fully responsive mobile navigation build in. Perfect for any modern blogger or magazine lover. 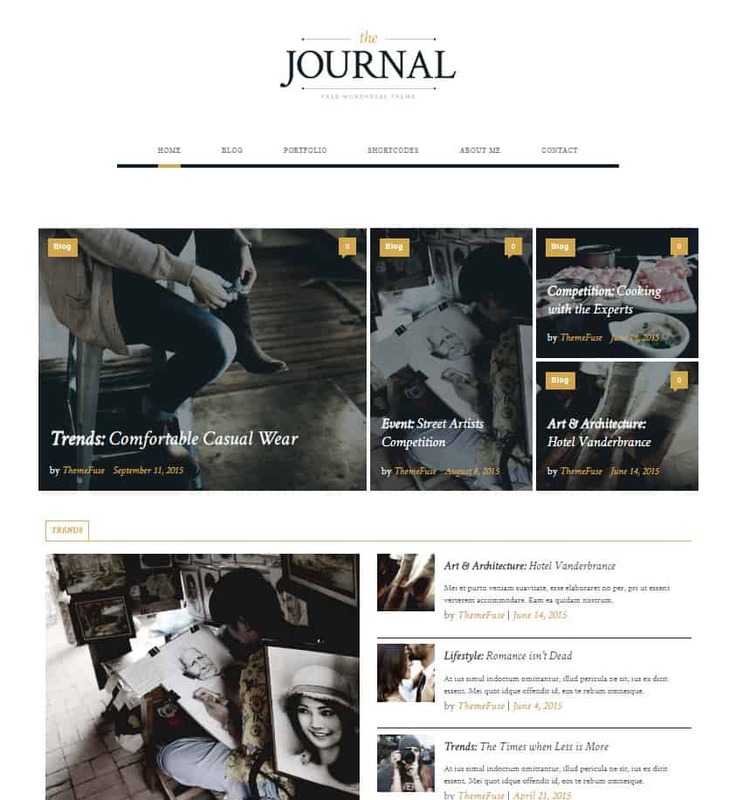 Journal simple and beautiful responsive free magazine and Journal WordPress theme with many options to customize and easy to navigate. Journal has many featured section for you to add your categories, pick which posts are trending and which stay up top as the most important ones. Very well design modern looking magazine theme. Magnetism is modern and sophisticated yet simple magazine WordPress theme, for clean and modern look to impress your visitors. This amazing theme is easy to setup and install with fully responsive build in motion slider so its easier to your visitors to pick the best articles to read. This is one column design with right side custom widgets option. Gadgetry very nice and clever designed magazine theme with build in fully responsive slider, dark navigation for a beautiful sharp look. Gadget is a 2 column modern magazine theme with right sidebar widget for all your widgets needs, such as most popular posts, advertisement, about section, etc..
Kale is super minimalist modern magazine WordPress theme with large build in slider with a titles over it. 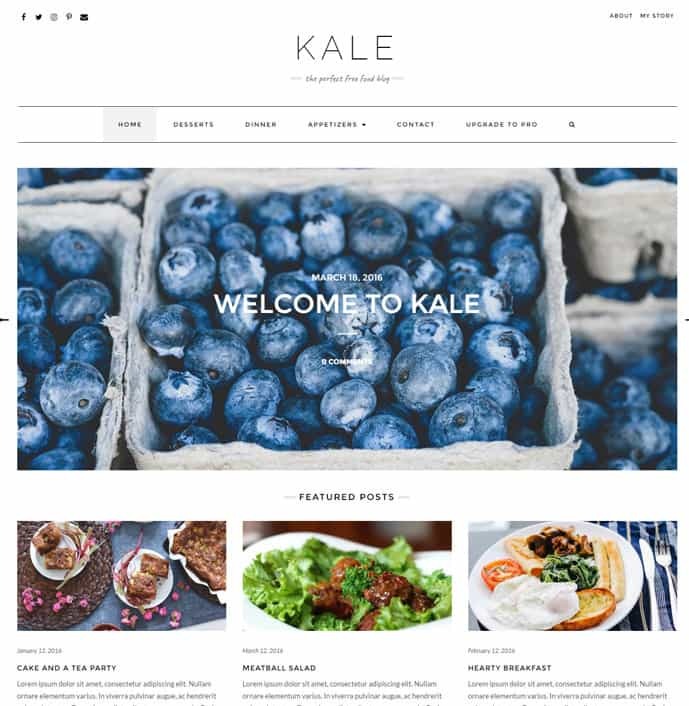 Kale is fully responsive and modern mag theme with featured posts 2 or 1 column posts and right sidebar option for your about us, newsletter signup and search box options. NewsMag Lite is very modern and classy fully responsive magazine theme with large build in slider. It has advertisement banners up top for your google ads. This is 3 column grid based like layout with many customization options build in, select which category you want to show up top and which down the bottom. 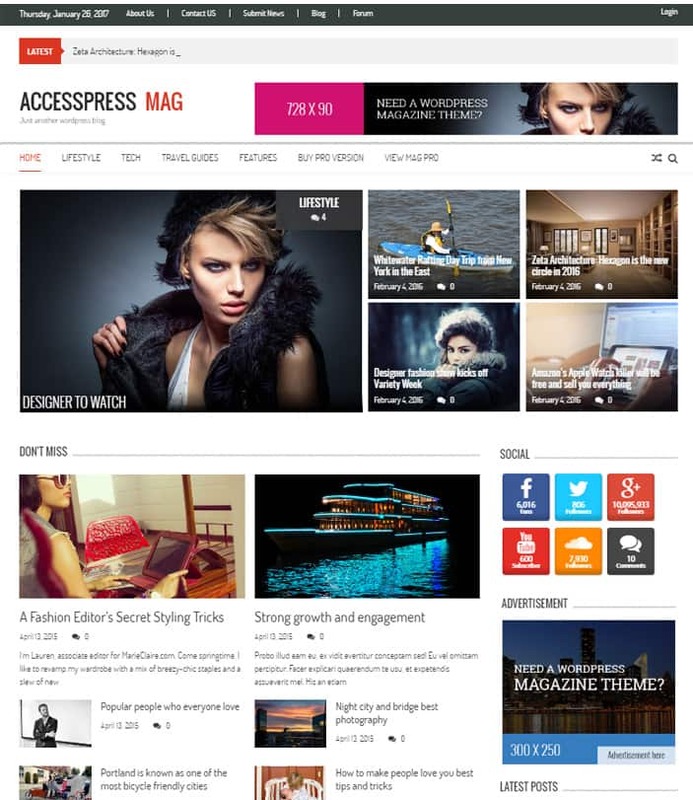 Accesspress mag is fantastic and well build magazine WordPress theme with many options to customize and optimize to your need. Accesspress Mag has many unique features with makes this magazine theme so special, beautiful and well layout parts of the theme are in grid based sections, with custom right side widgets for your social and advertisement needs. Kustrix beautiful and modern magazine theme with large build in slider and overlay of featured post text with call out buttons. This is one column design with right side sidebar widget option for your tags, search, archive and advertisement options. 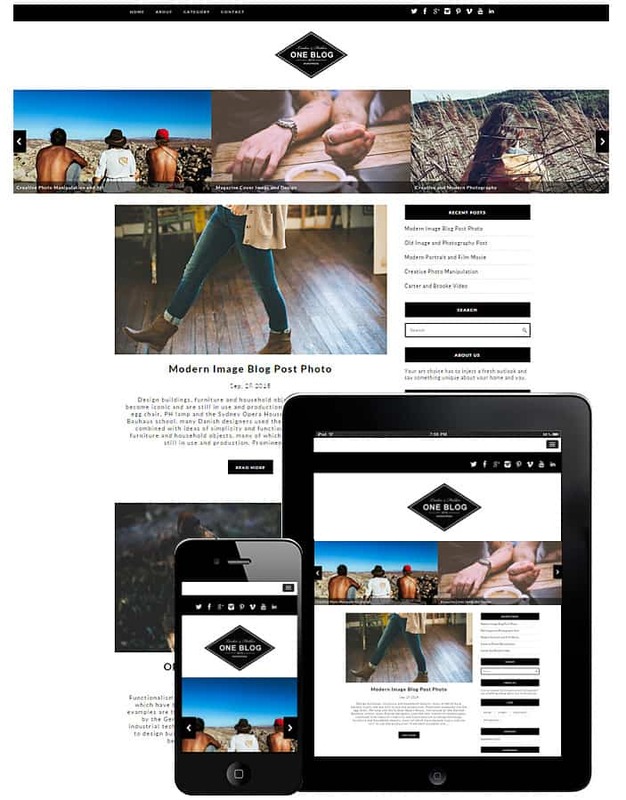 Perfect minimal magazine wordpress theme for any blogger. Orsey simple and clean theme with motion slider build in for extra sophistication look. 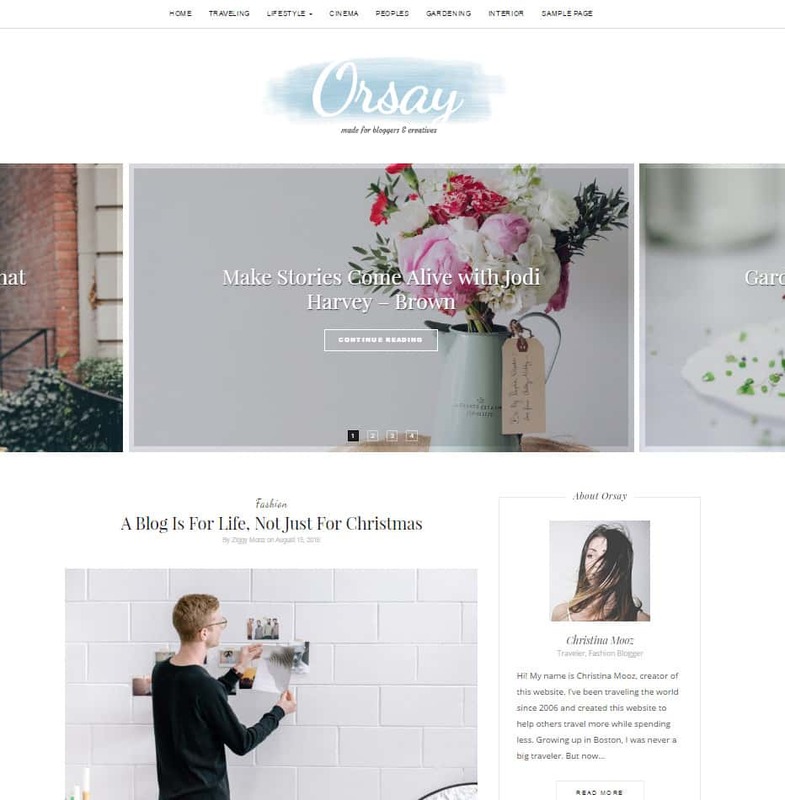 This is one clean and white mag theme with many options to customize and SEO optimized perfect for any simple blogger or magazine site, with one column posts and right side beautiful design widgets. 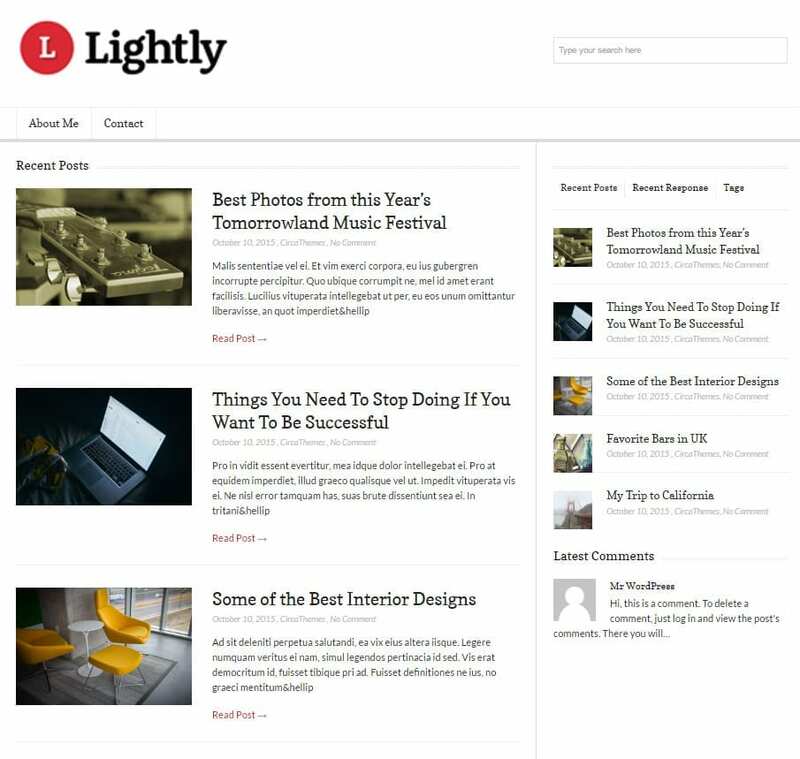 Lightly is super simple magazine wordpress theme perfect for any blogger to just write its divided into tow main columns your left column is for your posts and right one for your build in custom widgets. Super light theme perfect for any size magazine or blog website perfect for SEO optimization and great for any reader to simply navigate thru posts. 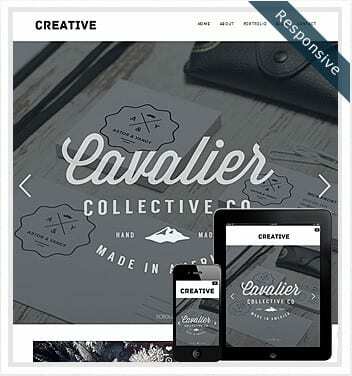 Colormag is sophisticated fully responsive free WordPress theme build for professional magazine or news websites. Its has more then enough custom option to change the layout, colors, fonts, etc. 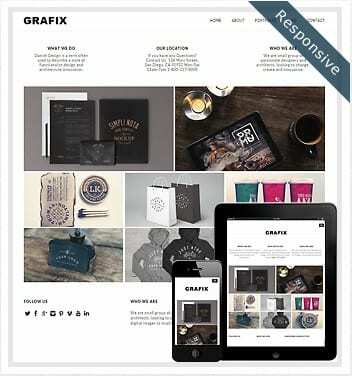 This is perfect theme for large magazine website looking to upgrade to modern looking layout. 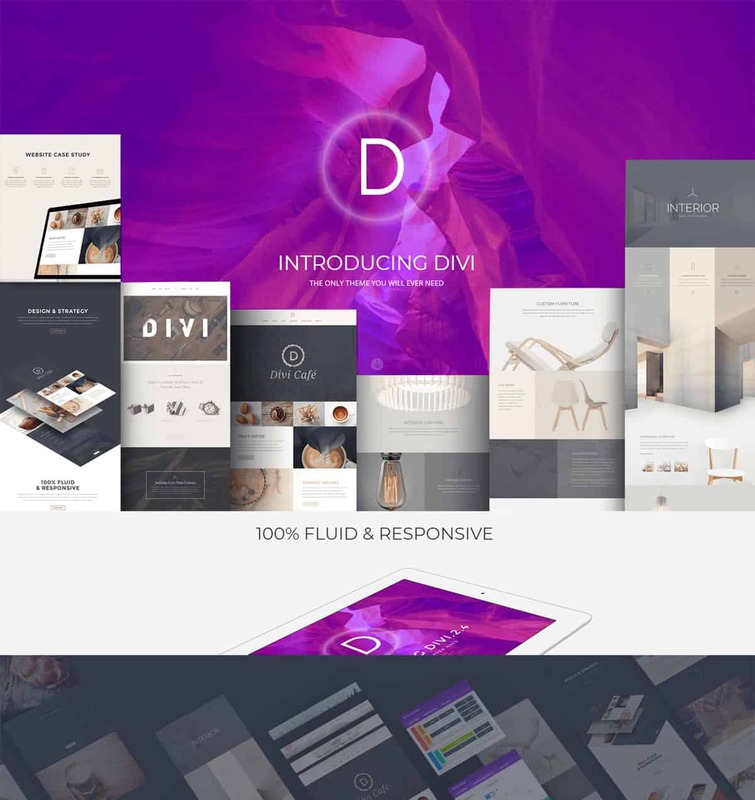 Clean and well design this theme has many things to offer. 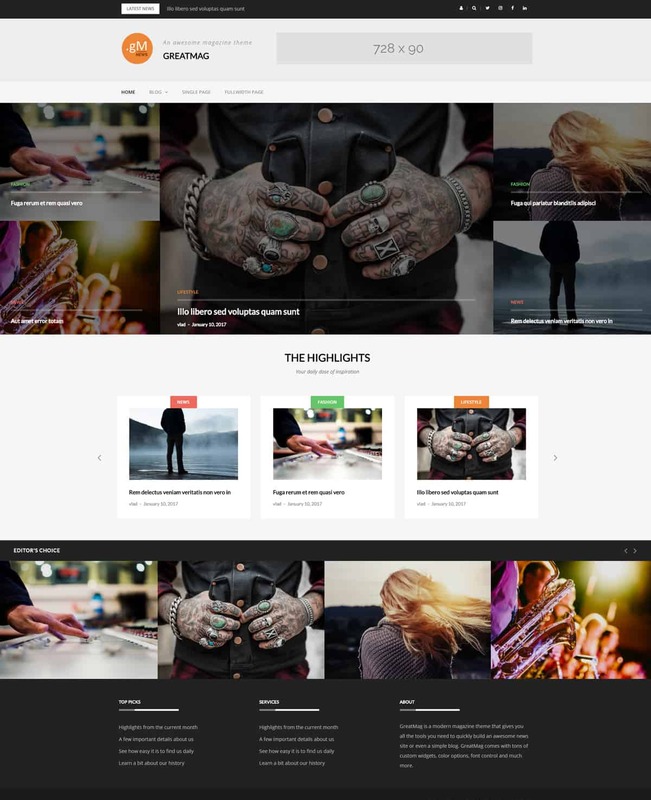 Oxygen super modern and minimal magazine wordpress theme clean and beautiful design. Oxygen comes with amazing build in slider and left side black navigation, clean lines and modern look makes this theme very unique and easy on eye. Its has build in ads space for your advertisement needs. Great theme for any magazine site looking for simple solution. Street Style is a prefect magazine digital theme for fashion lovers,clean and modern look gives this theme unique but sophisticated layout. Street style is a clean looking modern magazine theme for any blogger or magazine website. Large vertical images up top are great to show your models or photo shoots, if you are fashion blogger or looking to open and fashion magazine site this is perfect theme for you. JustWrite is a very unique writer theme with many options for well build magazine sites. 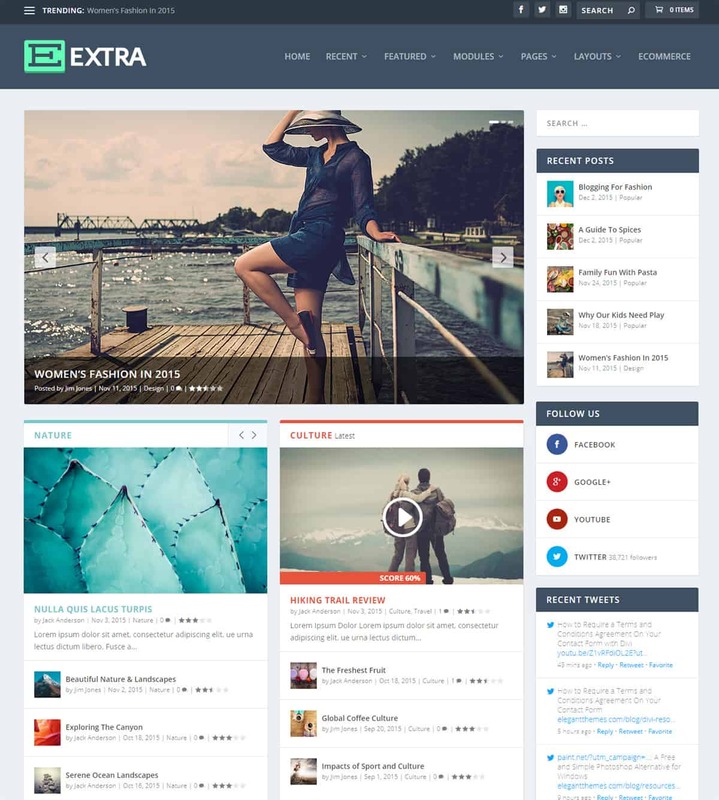 This is fully responsive theme if you need to update your website to the next level, with modern and clean look this theme has the best magazine options available. 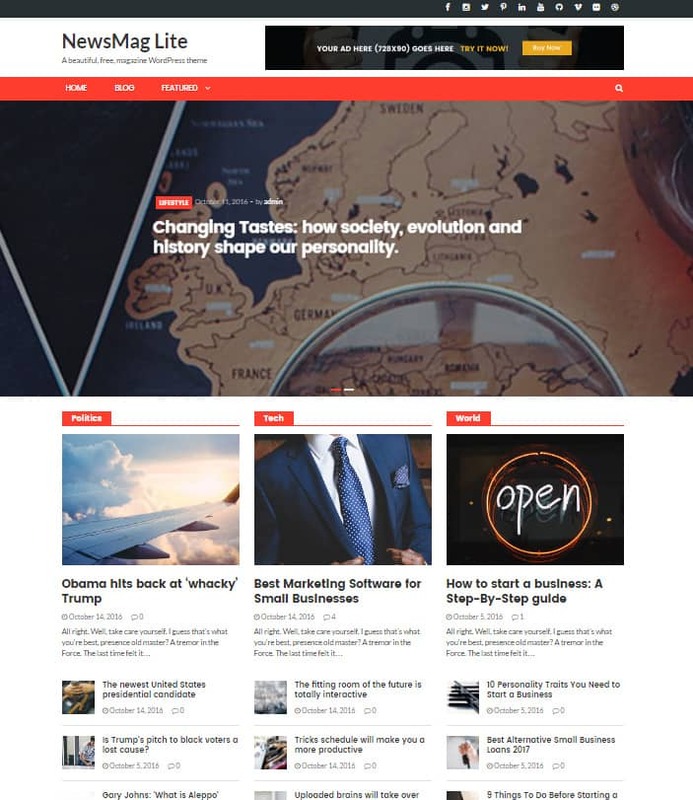 Very classy and modern free magazine theme, best for large mag website looking to update their current look and feel.